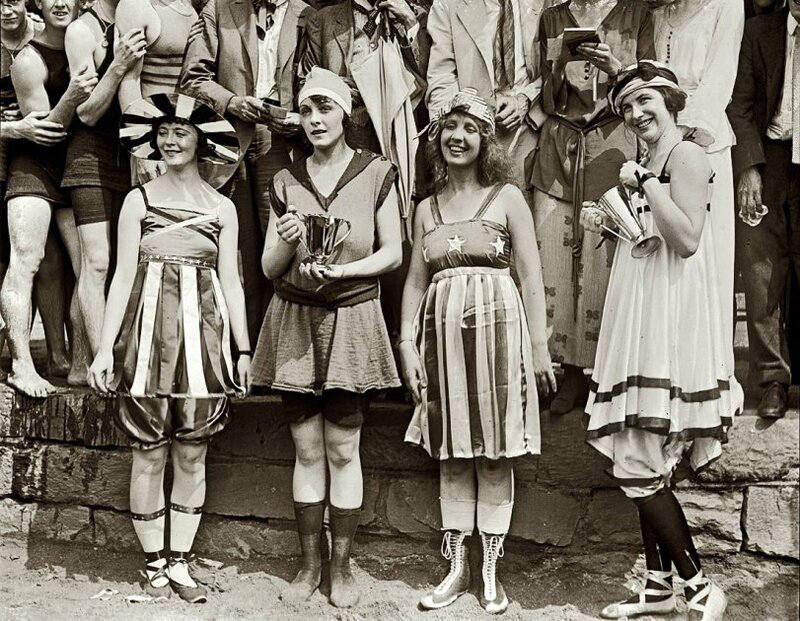 The photo is from the 1922 annual beauty show held at the Washington Bathing Beach, and these four were the prize winners. The women, in order, are Gay Gatley, Eva Fridell, Anna Neibel and Iola Swinnerton. Based on trophy size, it seems that Eva came in first and Gay came in second. Anne was first in the costume category with Iola coming in second. 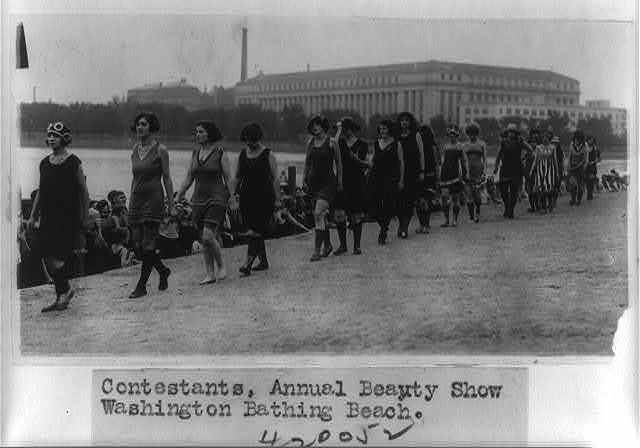 The bathing beach was near the tidal basin and was a popular place for Washingtonians to cool off in the summer months — I wouldn’t set foot in that water today. Check out the photo below of all the contestants in the August competition. And yet another one, this time from 1919 (via Shorpy). If you liked this post, why don’t you get our updates via Twitter or Facebook?